It’s not quite Thursday yet but this song deserves some early recognition. I love how music can bring back so many memories that you don’t always readily remember. I realized that I hadn’t posted a song in a long while and this one is definitely a throwback. I remember when I first read about B2K in a magazine and heard their first single on the radio. I was hooked. I knew the names of all the guys and determined that I would somehow get my hands on their second album. It was one of the first secular albums that I bought and it kept it hidden away. This particular song brings back memories of vacation in Florida and listening in the wee hours of the morning on my personal CD player (back when those were popular). I have to say that this is a great song. It’s catchy and speaks of (implied) undying love and commitment. I definitely was one of the many people who were disappointed when the group decided to go their separate ways but I’m glad they kept it together long enough to make this album. I’ve been left handed for as long as I can remember. It’s always been weird bumping elbows with people at the table and using scissors that are excruciatingly uncomfortable. The combination of being homeschooled AND left handed lent itself to the assumption many people made that I was smart. The jury is still out on that one but I must admit that being left handed requires you to think a lot more. You have to write really weirdly on spiral notebooks and judge distances when you are trying to navigate activities designed for righties. Let’s not forget how uncomfortable it is to sit at a right handed desk and actually take legible notes because you don’t have anywhere to put your elbows. The funny thing is that while I use utensils and write with my left hand, I do pretty much everything else with my right hand because it just comes more naturally. I don’t know that many left handed people and I remember reading stories as a kid of parents who forced their children to be right handed when they saw that they favored their other hand. I ran into this interesting article that talk about characteristics of left handed people and it was rather eye opening for me. I won’t comment on all of the assertions of the article but I will say that as a leftie who knows a few other lefties, I do think that we indeed do get angrier in certain stressful situations but I don’t know if that should be blamed on being left handed. I’m the type of person who really hates feeling confined. I’m not a fan of small places and while they don’t evoke a panic-like reaction from me, I don’t go out my way to experience them. My parents attest to this fact by reporting I was an escape artist as a toddler. For some reason I hated my crib and would often raise my foot above my head to the guardrail and hoist myself over the railing and fall to the floor. Somehow I managed not to permanently injure myself as I escaped multiple times from my jail–I mean crib. Growing up and being homeschooled afforded me the ability to have a nice balance of structure and flexibility. I remember playing outside in our backyard one day in rural Alabama and saying to my mother that we should go visit my grandparents in Michigan. She liked the idea and within about four hours we had embarked on the 17 hour roadtrip north. Totally unplanned and random. I personally know a lot of people who stay so tied to their to do list that they miss out on a lot. Flexibility is a trait that can come in handy because it demonstrates an ability to think on your feet. I love structure and predictability but I’m also a firm believer in planned spontaneity. Those are scheduled times where I get to do whatever I want (within reason) without an agenda. I’m still in the process of finding a great balance of structure and planned spontaneity but I believe it can be found. As I’ve mentioned before in some previous posts, I don’t watch a huge amount of television. As a result, I’ve grown to have an appreciation for the commercial free atmosphere of Netflix. In addition, it’s nice to watch seasons of shows instead of waiting for a week before the next episode. One show that has really grabbed my interest is Dexter. I just finished season 4. I only watch the show in short bursts because it can be fairly intense, but I’m drawn to the complexity of Dexter’s childhood and how it has affected his behaviors as an adult. By no means do I think that the show is child friendly but it is SO intriguing from a human behavior/psychology perspective. 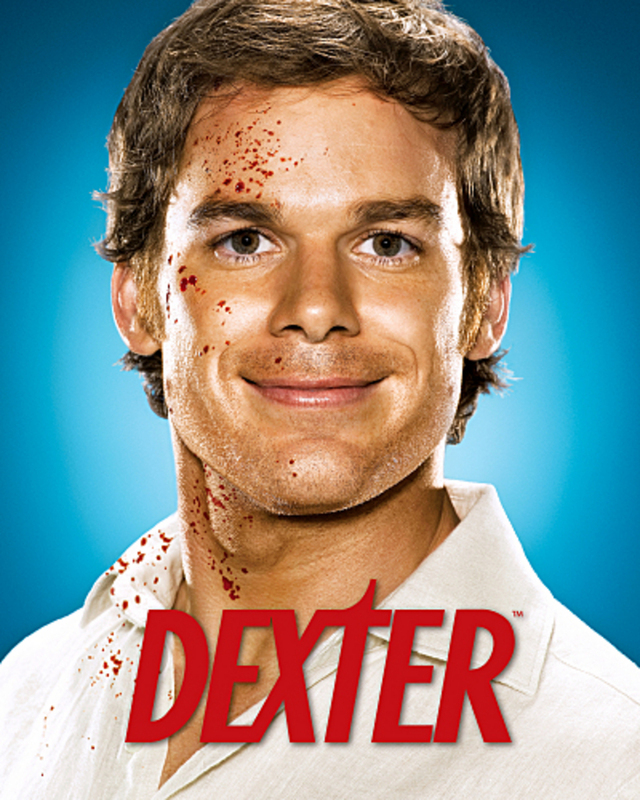 The show is about a blood splatter analyst (Dexter) who has a secret of his own. He wrestles with being a traditional family man and keeping his big secret from others. Dexter has had a traumatic experience in his early childhood that has set him apart from other people. He had a father who taught him how to function in a way that would prevent him from spending the rest of his life in prison. The unique thing about the show is that the storyline is in first person. Dexter struggles in every episode with what he is expected to be and who he really perceives himself to be. While Dexter’s challenges with his secret are more marked than many other people, in every season he becomes more of a person. Watching Dexter navigate his personal and work relationships is a reminder to me of how often we can stereotype or assume things about others. On the surface, no one would ever guess that Dexter has this huge secret because he struggles with being genuine and honest with himself and others. As a result, Dexter has few close relationships.